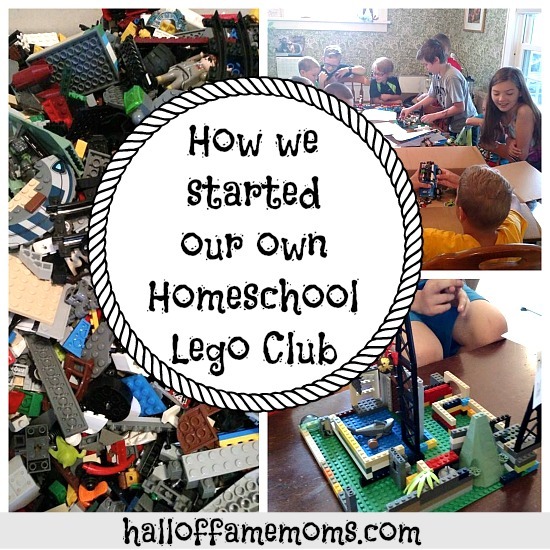 How we started our own Homeschool Lego Club. Earlier this year while attempting to ORGANIZE the bazillions of tiny Lego parts and pieces we own my son(s) and I began discussing the idea of starting our own Lego Club. I figured we had enough Legos on our own to facilitate some build-challenges. 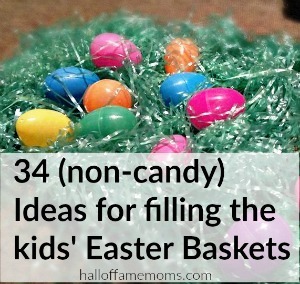 When I mentioned this idea to a good friend of mine she jumped on board immediately offering to help coordinate. She and I did our homework of researching and collecting Lego Club ideas online. 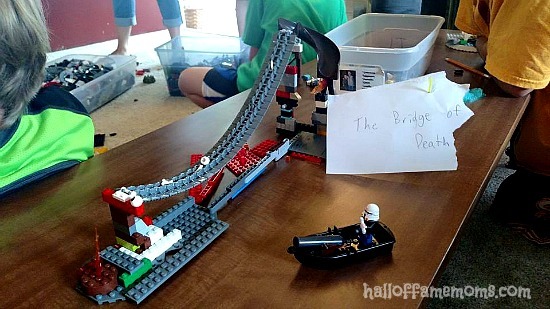 I have a Pinterest board with Lego ideas here. 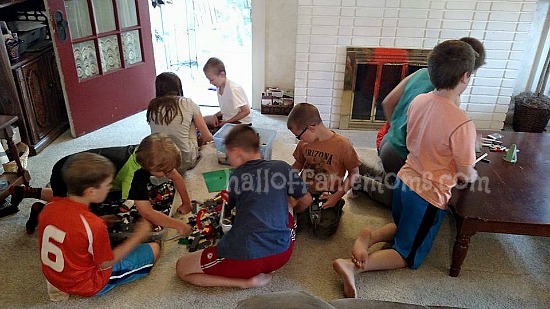 Since we are homeschooling mamas we made this a homeschooling Lego Club complete with short fun writing assignments and lots of building challenges. 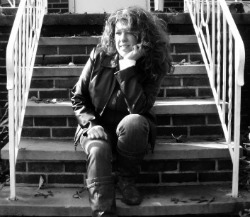 Tami and I met for about an hour or so at my house and made a plan. We scheduled 26 two- hour Club meetings over the upcoming year, meeting every two weeks as a rule. Since this is for homeschoolers we are free to meet during the day. We planned out the homework assignments which include alternating between a simple Lego challenges to make at home and bring to the following meeting (using their own Legos) and do a short 1-2 minute presentation (telling everyone about their creation). On alternate meetings they have a short writing assignment with a prompt from a Mini-figure’s perspective PLUS they have to build something out of Legos to go with their short writing assignment. They bring that to the meetings and read their story and tell us about their Lego creation during presentation time. After presentation they are assigned a group-build challenge and encouraged to break up into small groups of their own choosing, though they can build alone if they wish. So far so good. The kids are getting a little creative writing, public speaking, building challenges and that oh-so important extra: SOCIALIZATION! 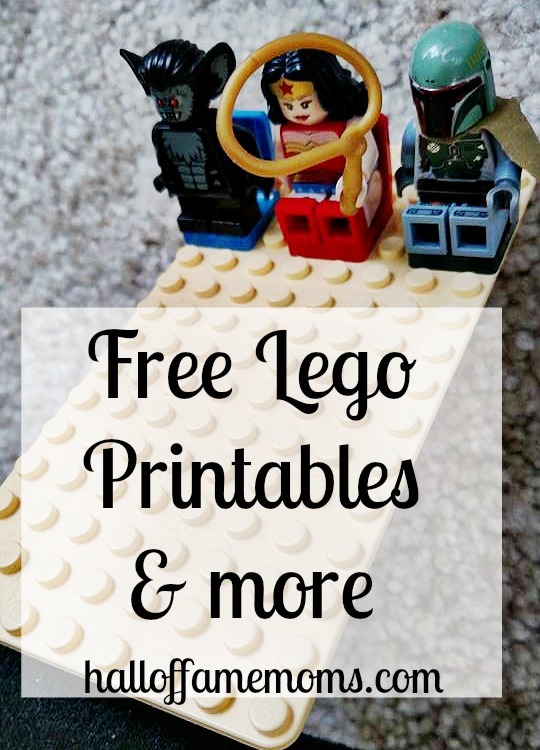 Find Lego Printables here. Oh, and one more thing: I created a secret private Facebook group for our little club allowing members to share pictures, ask questions and I can update with our weekly assignment reminders. I know Lego Clubs have been gaining some popularity, particularly through our local library. 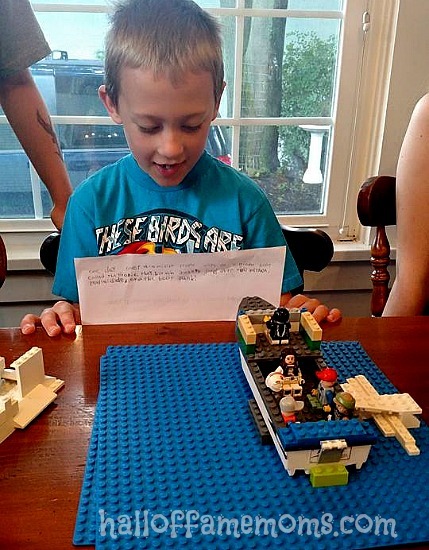 Do your kids participate in a Lego Club anywhere? 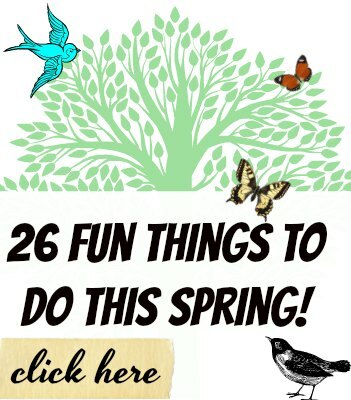 Do you do something different? Please share in the comments, thanks for reading! 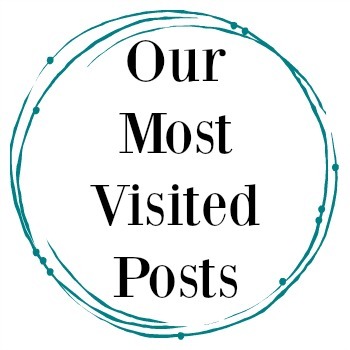 If you enjoyed this post you may want to explore these resources as well! 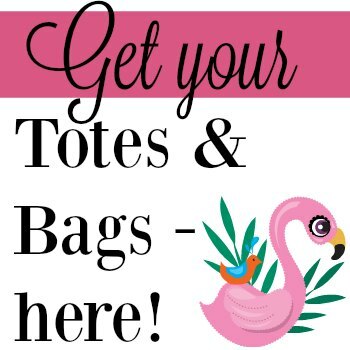 Please subscribe to get new posts sent to your inbox here! Your ULTIMATE Lego Party Supply List with DIY altern. I was wondering if I could get some information about your Lego Club. 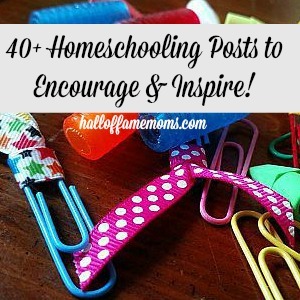 We are new to homeschooling so we are just discovering what is available in the homeschooling community. 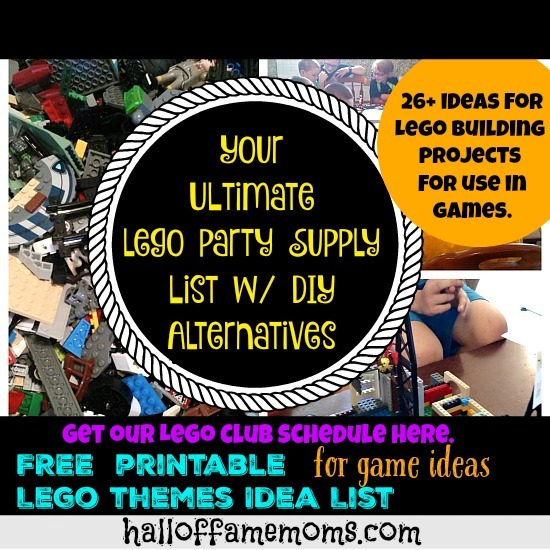 Our 3rd great daughter is a lego enthusiast and I would love to get her involved in your club. I know that the lego club has already started but we were hoping that she could still join. She is a sweet, easy-going child so she would not be a disruption. If you could get back to me that would be great. Thank you, Scarlet Rue. The kids have a great time together, thanks, Cindy! I would love to know what kind of challenges you came up with and the writing assignments to go with them. That would be SO fun to do. Thanks for dropping a comment, Annette! There should be a free printable list of our Lego Club schedule with topics, I believe, on one of these posts.